(corporate meetings, retreats, etc.) the greenest event in the Southeast! Solar-powered stage with optional mist-cooling and seating for 200 or more people. Two huge tents hold up to 300 people for dinner. 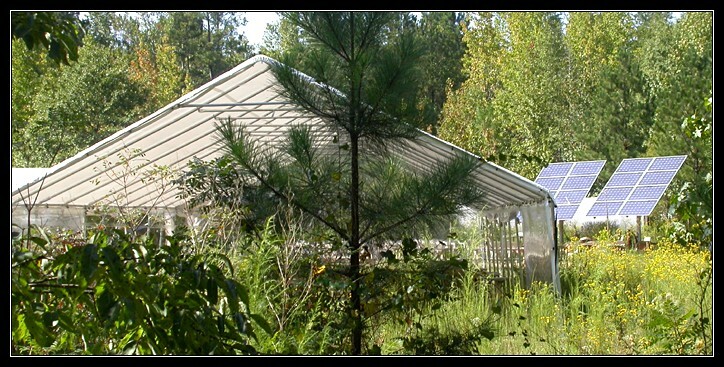 Additional tents or seating available. Rustic picnic tables seat up to 300 people. Additional seating available on request. 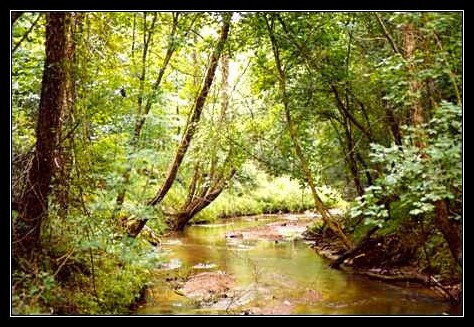 Walk along Greenbrier Creek for many fantastic photographic opportunities! 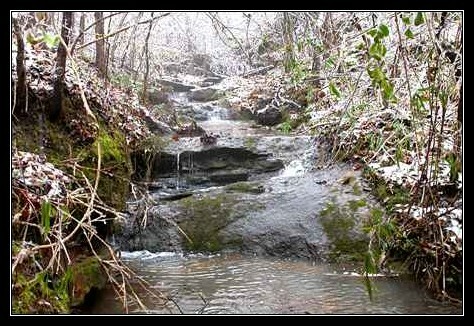 Or take a more adventurous 10-minute walk to these beautiful waterfalls! 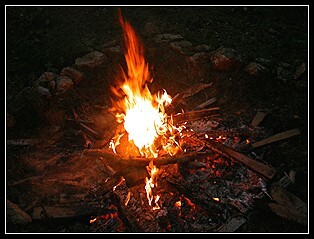 A fire in the Bonfire Pit adjacent to Greenbrier Creek will add unique charm and character to your event. 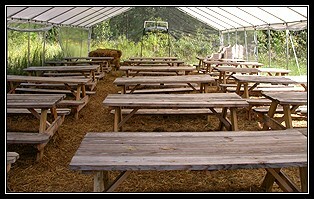 Rustic Picnic Tables for up to 300 People, Use of 100-Acres of Nature Trails, Use of Bonfire Pit. Call 1-800-800-2SUN ext. 9696 with questions, or to make a reservation.